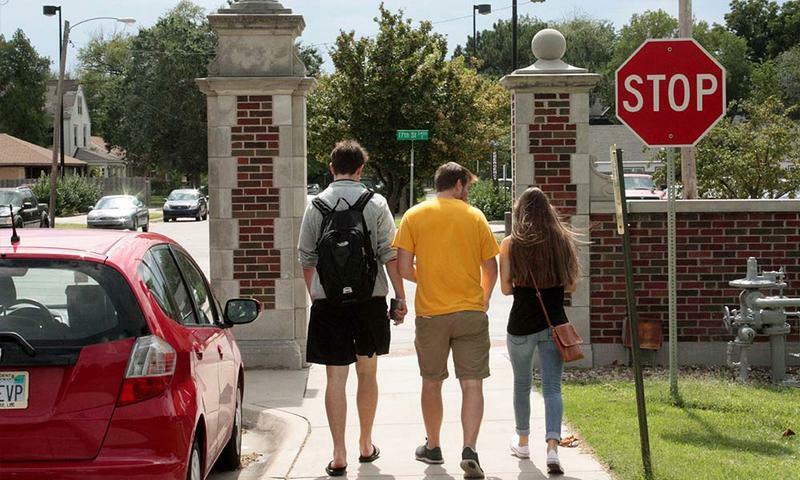 Numbers from a census taken on the 20th day of classes at Wichita State University show a decrease in enrollment and credit hours students are taking this semester. Preliminary reports filed Monday compare this year's enrollment and credit hours taken by students to those of last year. 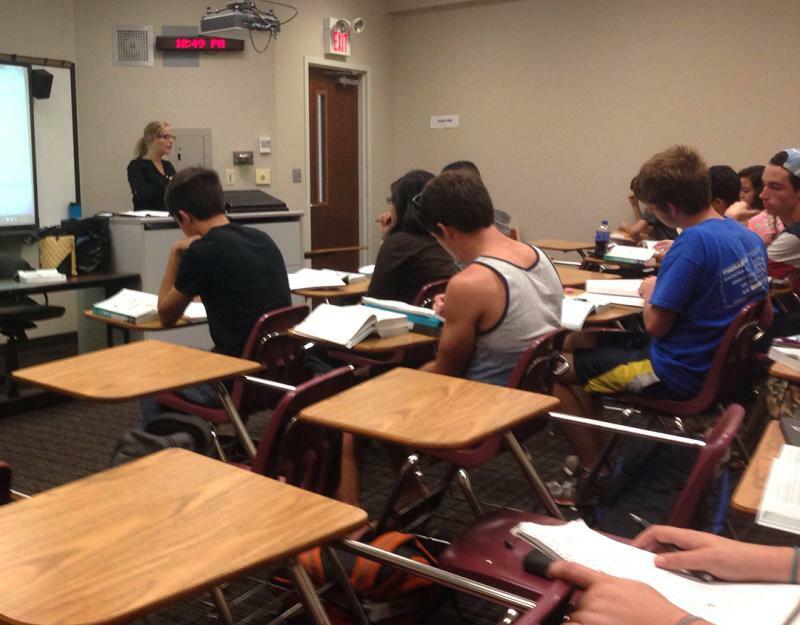 This semester, enrollment at WSU decreased by close to 500 students, or about 3.3 percent. Students are also taking 2.3 percent fewer credit hours overall. Updated June 23, 2015, at 2:40 p.m. The chancellor of the University of Kansas is joining the presidents of four other state universities in giving up her annual pay increase. KU spokeswoman Erinn Barcomb-Peterson says Chancellor Bernadette Gray Little has regularly made gifts to the university in excess of her annual salary increase and plans to do the same again this year. The Kansas Board of Regents has approved 2 percent increases in the base salaries of the top administrators at five state universities. The board approved the additional compensation Thursday. 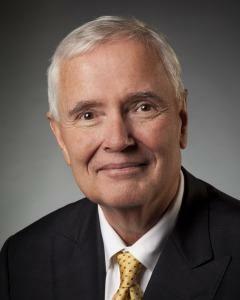 Wichita State University President John Bardo's salary will be about $357,000, an increase of about $7,000. University of Kansas Chancellor Bernadette Gray-Little will receive a base salary of about $510,000 for the fiscal year beginning July 1. The increase is $10,000. Kansas State University President Kirk Schulz will see his salary rise about $9,300 to $476,000. The board's unanimous decision today came a day after it told universities to revise their proposals on tuition and fees. Kansas Gov. Sam Brownback signed a bill on Tuesday, raising the state’s sales tax to 6.5 percent and making only one line item cut. Maria Carter has more. The tax increase still left a $50 million budget hole. Many people expected Gov. Brownback to announce where he was cutting that money, but instead he trimmed just $1.9 million from a higher education program, allowing students to get a GED and a technical certificate at the same time. The Kansas Board of Regents is forming a group to study the logistics of basing budgets for the state's universities and colleges at least partly on performance. Performance-based budgeting ties some a portion of post-secondary institutions' funding to their meeting specific goals. The key is determining what the goals are, how to measure performance, and the amount of funding involved. Next week, the Kansas Board of Regents will examine the results of general education assessments, which evaluate communication, critical thinking and problem solving skills of current and former students throughout its system. This is the first time that state-supported universities, community colleges and technical schools have been required to provide these numbers to the board. This data has the potential to affect new state funding for these institutions. The Kansas Board of Regents has given preliminary approval to a $38.6 million budget for specific projects. However, on Thursday the Regents also rejected a request for almost $24 million to increase funding for post-secondary school to cover inflation. The board will finalize the recommendations in September and forward it to Gov. Sam Brownback to consider while he devises a budget to present to the Legislature. Gov. Sam Brownback has named a former Kansas House member and two attorneys to the board overseeing the state’s higher education system. Brownback on Friday announced the appointments of former state Rep. Bill Feuerborn of Garnett, Joseph Bain of Woodland and Zoe Forrester Newton of Sedan to the Board of Regents. Feuerborn served in the House from 1995 through 2002. The three will serve through June 2018. Their appointments require state Senate confirmation.